Available size: - 60 & 56 series, Single Size, as per client requirement. Available Thickness: - 2cm, 3cm, 4cm & more. Surface Finishing: - Natural, H/C, Machine Cut, Honed, Sandblasted, etc. 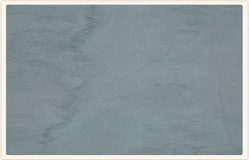 Commonly used for interiors and exteriors, like floors and walls, shower and tub surrounds, fireplaces etc, our range of Kandla grey is known for smooth surface area and fine finishes. BHL-GREY or more popularly known as Kandla Grey is a kind of sandstone in which the quartz grains are cemented together by secondary silica calcite. The presence of minor color tonal variations make it a unique and attractive building stone. Because of three different origins within Bhilwara district, this sandstone comes in three different shades of bluish grey, dark grey and light grey. - Available in Sizes(in cms): 60 x 60, 60 x 40, 60 x 30, 30 x 30 and as per clients’ instruction. - Thickness: 15 mm/18 mm/20 mm/25 mm/30 mm and as per clients instruction. - Finishes: one aside and both side natural/ one aside and both side calibrated/ brushed/ polished/ honed/ sandblasted and as per clients instruction. Being one of the trusted organizations in the market, we are affianced in providing a wide range of Kandla Grey Sandstone. 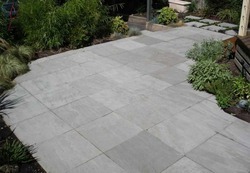 Our wide range Kandla Grey sandstone is available various specifications to meet the varied clients requirements. Available in various finishes and textures, we also provide customized product requirements.